2015 is just around the corner. If you are looking to buy a new Smartphone in the coming year then you must check out the List of Top Eight Best Smartphones to Look Forward to in 2015. Now as we all know this topic can be gruesome for techies, there are so many phones, tablets and other gadgets verities, and picking out these eight Phones wasn't an easy job, even though they are future phones and currently don’t exist at the time of writing! And specifications and features are only based on rumors and speculations spreading all over the internet. Some corners are concerned that the smartphone market is becoming homogenized, Sam Murray recently wrote that all smartphones are becoming the same regardless of manufacturer. Is he right? We don't think so and here are our top 8 phones worth waiting for in 2015. Everybody was excited with the launch of iPhone 6 and iPhone 6 Plus. 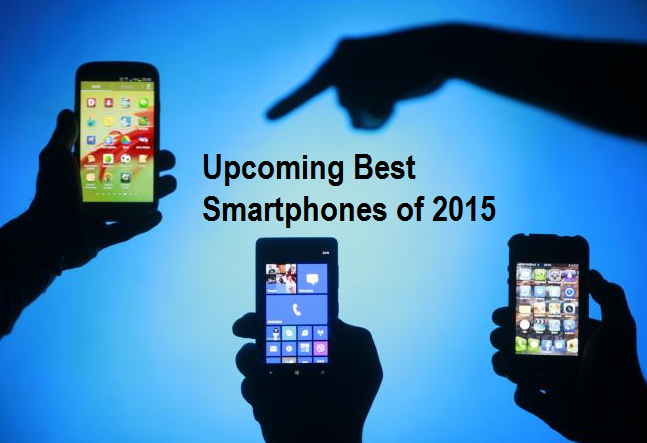 They were the most awaited smartphones of the year 2014. All the people that complained about the small screen of previous models of iPhones were extremely happy to invest in iPhone 6 plus. Now, the apple fans are really looking forward to the new model of iPhone which would be launched in 2015. We don’t know if it would be called iPhone 7 or iPhone Air or something else but we definitely know that the wait is worth waiting for! Android users are a huge fan of Samsung Galaxy Note series. The latest Note 4 is no doubt one of the best phones of 2014. It got a hefty resolution boost and a premium finish. The phablet comes with the S Pen which makes it really easier to use. The Galaxy Note fans are really looking forward to Samsung Galaxy Note 5 which would be launched in 2015. Many Android users are not comfortable with using a phablet like Galaxy Note. For them the most suitable phone is the Galaxy S series. The new Galaxy S6 will not have the plastic look which the previous models had. It is expected to have a metallic look like the Galaxy Alpha. The Galaxy Samsung S6 is expected to launch in February 2015. There is a huge fan club of HTC One M9. The new HTC One smartphone is expected to arrive in March 2015. We are really excited to see a better version of HTC One M9. People really liked using LG G3 this year. The new LG G4 is expected to come in June 2014. We are sure that it won’t disappoint us. Sony usually launches two smartphones in a year. So we don’t have to feel bad for using many months old technology. Sony Xperia phones come with wonderful cameras and great performance. We expect for the new release in March 2015. The amazing OnePlus One phone is no doubt a very popular phone of 2014. You can get all the features that a £600 smartphone possesses but in the price of £229 only. This phone is trying to meet the demands of the customers. The new model of the phone is expected to come in the middle of the New Year. Tesco Hudl tablet was a huge success this year. They plan to launch a high-end smartphone in a comparatively low price in early 2015.